• Blueberry - Comforts, soothes tired skin and provides energy for a healthy skin. • Phyllanthus Emblica Fruit Extract - Vitamin C helps brighten and purify skin tone. • Jeju Aloe Vera Leaf - Provides long lasting nutrition and moisture. • Euterpe Oleracea - Helps prevent skin from aging and skin oxidation, providing a vibrant luminous skin. Gladly, the product doesn't have strong smell in it. 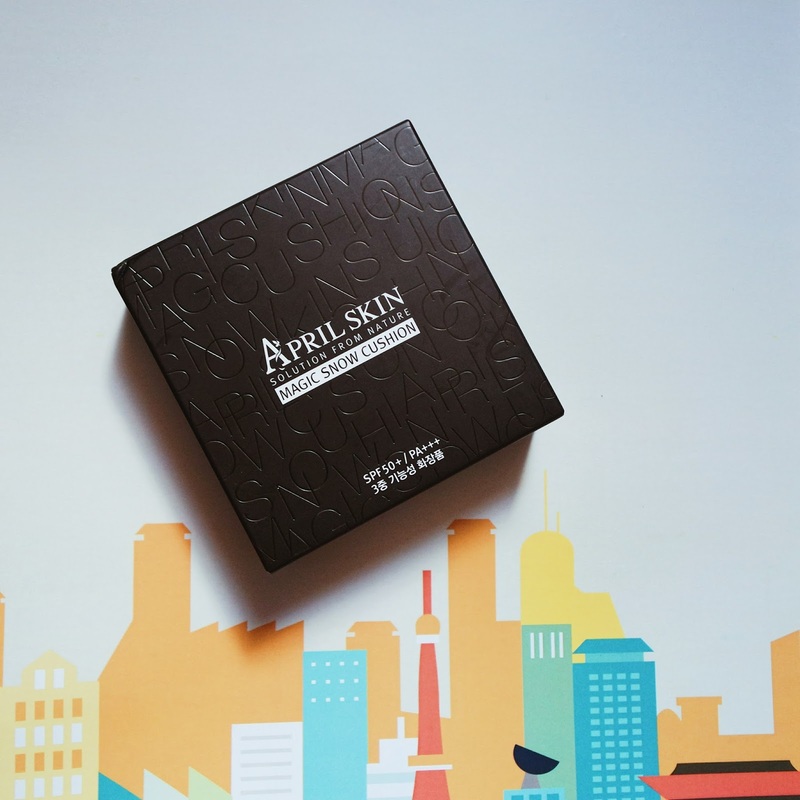 Knowing it's a Korean brand, I was expecting a perfume-like fragrance like most KBeauty products have but I'm glad it doesn't have that smell. Just like any other BB and CC cushions, it has a compartment for its fluppy sponge. I just don't like that the packaging of this product is kinda bulky for my liking. It's made of sleek black case with its label printed on top and that's it. It is that simple same as its textured box (printed with korean stuff that I really can't read). I think the sponge that it came with blends the product pretty decent on my face. 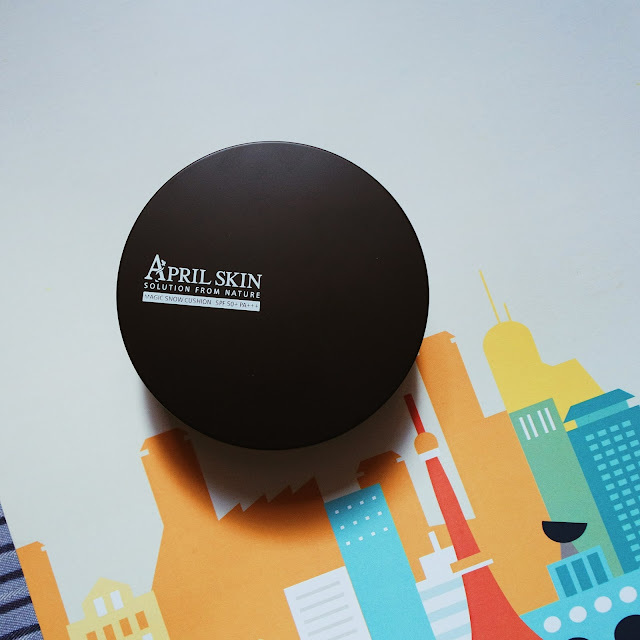 I sooooo loovveee the coverage of April Skin Snow Cushion guys. Promise! 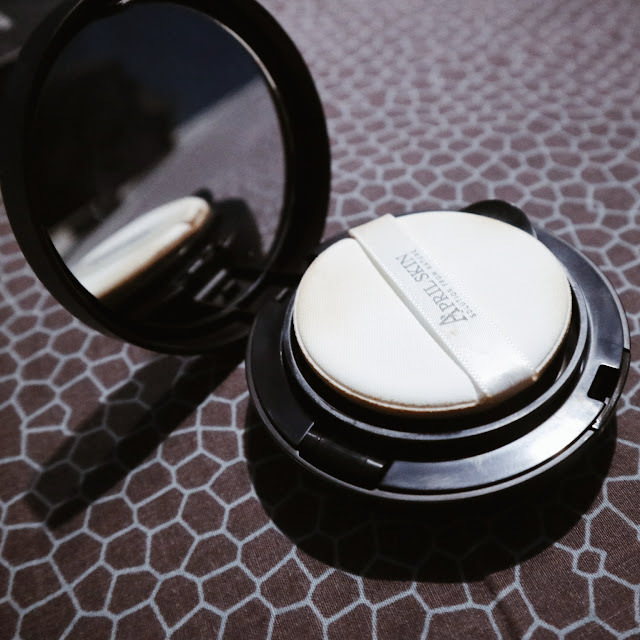 It's a full coverage cushion and I like it! 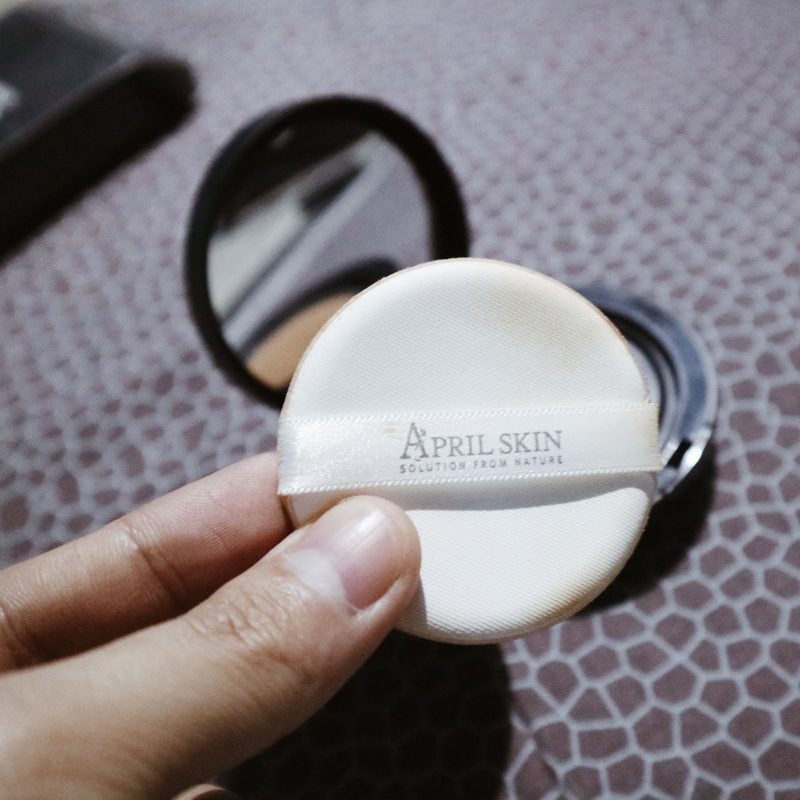 It covers my dark spots and redness around my face very nicely. 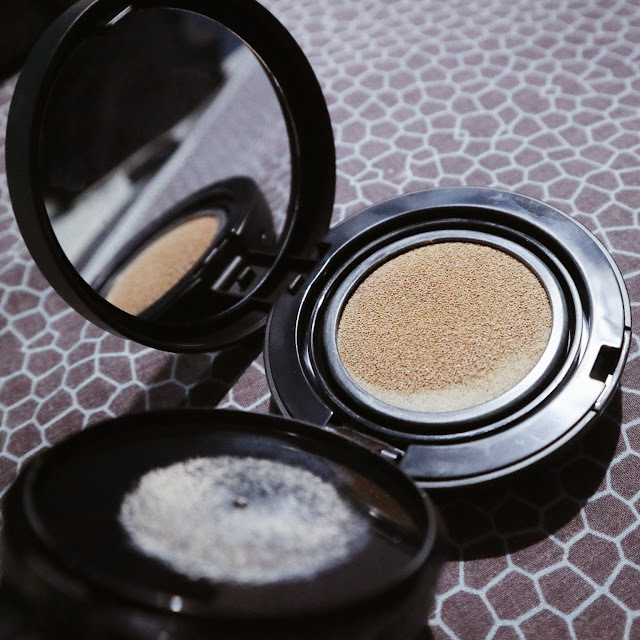 It's also so easy to blend wether you're using its puff or your favorite brush. 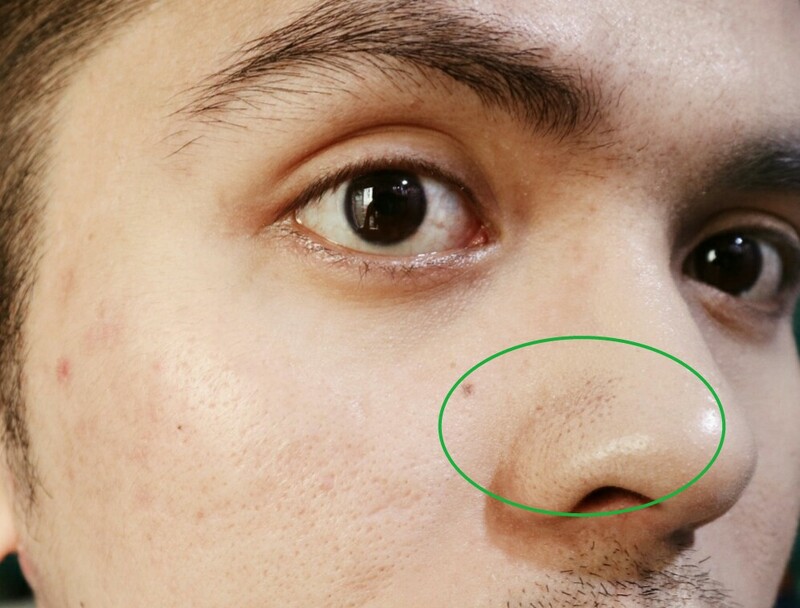 It cakes on my nose after 7 hours. 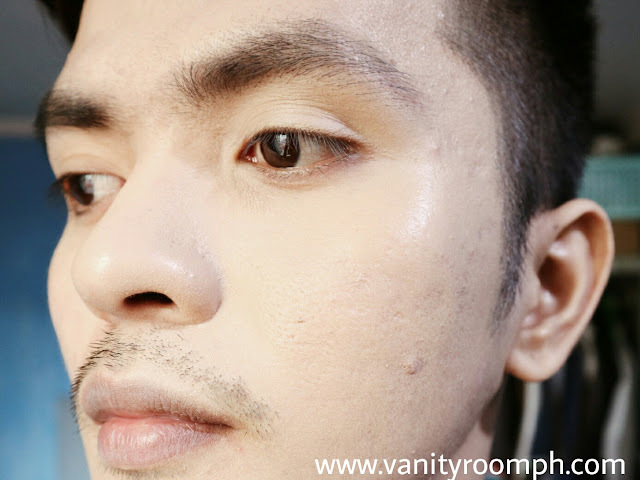 The blemishes are slightly visible already but it still covers my skin very nicely. All in all, this is a great cushion and I highly recommend it specifically if you're like me who's always in a hurry. You can just tap tap tap this cushion on your face even if you're in the car and you're good to go with a well toned fully concealed face.